Rachel, yes, it looks as though they are only broadcasting the finals. Wow, I was looking through the list of competitors and was amazed to recognize so many names! Very exciting and I can't wait to put faces to names. Looking forward to seeing some of you here at Nationals. I'm at "The Bridge" right now... There are some meetings of contestants; see link for details. http://quizlet.com/7768306/lets-meet-up-at-nashville-flash-cards/ Hope to see you soon! Andy - Thanks for posting. Hey Alex, If you read this I am praying for all of the Bible Bee contestants. Keep up the good work of spreading the word about Memverse. And if you can let me know how all of you guys are doing at nationals ! Tell me how the meetings go too if you can ! I, like Alex Watt was, am on "The Bridge" right now, using the complimentary Internet access. I'm having a great time so far! Please keep praying for all of us, as I will keep praying for all of the other contestants. Hey, everyone!! I am at Nationals right now, typing on a complimentary computer. This is so great! I can't believe I'm finally here! I have already met Zachary Baas, Marie and Josie Morris, and Pop-tart, and have seen Matthew Minica. I hope to meet many more of you soon, and I hope you all do well! God bless!! P.S. What is the computer lab you talked about? Many of us are trying to find where it is. Where is this contest that was listed on the bookmark for nationals? I am trying to sign up for the contest for the $100,000. Happy posting! Looking forward to meeting some of you tomorrow! It's 7 o'clock here in Nashville, and I'm doing my daily memorization session here on "The Bridge". The Primaries and Juniors are off to their Written Test in an hour, and I'm off to do the same with the Seniors an hour after that. Please keep praying that all of us will remember what we've studied in 1 and 2 Peter! @ChiefOfSinners: Thank you. I missed you to, and I really enjoyed quizzing you. I will keep praying, not just for you, but for all the others who have been, for the past year, memorizing God's holy word. (I do hope you and SavedByGrace win, though.) Congratulations on memorizing your 1,100th verse! I'll deliver that message to Justin as soon as I can. They weren't at prayer meeting last night; their car broke down. EDIT --- Oops. I just remembered that we'll be deer hunting Sat. morning. Sorry! @ ISC: It'd be great if you guys can watch! But even if SBG and I don't make it, it's still a very edifying experience to see the fruit of so many young people's labor, as they have committed so much time to the study of God's Word. @ OCTSRIS: Oh, that's too bad. Hopefully Mr. Cummins/Octavius can get on Memverse and see what I wrote. @ Rachel: Well, Nicolas described the written test as "extremely hard". I wouldn't go that far, but it was pretty difficult. Of course, he and I had different tests, so I don't know what his was like. But I know mine was definitely a challenge. We're both in waiting now for our Oral Rounds. I think both of us are pretty confident that we'll do well in this area, but it's all in God's hands. Keep praying for all of the participants! Nicolas and I are done with our Oral Rounds now. I let my mom sit in the judging room to watch, and she said I did really well. I got through 20 out of 25 passages in the 10-minute time frame. And I only passed on one: 2 Chronicles 20:6. I should have gotten it right, but I started it incorrectly, so I was totally messed up and just had to go on to the next one. My parents are pretty confident that I can make it to the Semi-Finals, and I am fairly confident, but I would be more so had I not passed on that one passage. I really hope I do make it though, because there are so many longer passages that I want to recite, and it'd be fun to do it in front of an audience. But it's all in God's hands. I would still appreciate your prayers though. P.S. My dad, mom, Nicolas, and I got to talk to Kirk Cameron for fifteen minutes while we were returning from the Oral Rounds!!! Well said, Christian (although we are in the same room! ;) ). Good luck guys!!! If I can watch the Finals I will!!! Keep us updated on who makes it from Memverse to the Semi-Finals and Finals. I'll be praying for you. Just want to echo that we would be DELIGHTED whoever can graciously share the names of those who make it to the semi's!!!!! I am very excited for all of you!! Have a fabulous time & may many be blessed through what you are doing! BTW @Christian - that is so neat that you got to talk with Kirk Cameron!!!! Christian and Nicolas, I will be praying for you guys tomorrow. I hope you make it to the semi-finals! I did not see the new post until just now so I did not have a chance to respond. Sorry. I am glad Justin and I were able to help you and Nicolas last Monday, it was a lot of fun! To all of you on Memverse from HRBC, we have the van back again in working order! Praise God! @ChiefOfSinners (again) Wow - talking to Kirk Cameron! That's pretty cool! Can't wait to talk next Wednesday. Christian and Nicolas, wishing you both the best of luck (even though there is no such thing :-) , right?). May God grant that you perform well under such a lot of pressure. GO MEMVERSERS! I'm praying for all of ya'll. You can enter in the contest for The $100,000 Word here: http://www.memverse.com/BB2011. I didn't get to watch last year, but look forward to seeing it this time around! @ OCTSRIS: Is this Saturday really the first day of the youth deer-hunting season? Time really flies! Bible Bee 2011 is turning out to be one of the best events of the year! Though Christian (@ChiefofSinners) & Nicolas (@SavedByGrace) did not make it to the semi-finals in their respective divisions (a.k.a. the Final 15), it has been amazing hearing and seeing the amount of work all of the National Finalists put into getting here; so those who did make the Final 15 earned it in every way, both orally and and on the reportedly very difficult written test. Christian and Nicolas lost to the best in the country, if not the world. The Finalists who didn't make the cut have nothing about which to hang their heads low. In addition to the phenomenal competition, we've gotten to meet Kirk Cameron (and converse with him and his daughter in the most relaxed manner, without interruption, for 15 minutes); meet and converse with Memverse's own giants: Phil Walker and Alex & Ben Watt; hear Voddie Baucham give yet another challenging presentation, this time on "Why we choose to trust in the Bible"; and we still get to look forward to watching "The Runner from Ravenshead" on the big screen here tonight and hearing Doug Phillips from Vision Forum tomorrow. Even if you don't plan to participate in the actual Bible Bee, I cannot recommend it enough for you and your families to schedule your family vacation to be at next year's Bible Bee, no matter where it ends up being. It is more than just a competition. It is a Family-Oriented, Bible-Building, Spiritual Enrichment Conference. There's no better place to be than around families who hold the Word of God above any and all other books, and try to live it out in their homes, churches, workplaces, and communities! Can anyone update us on who in each division (whether they are from Memverse or not) are in the semis? That would be amazing! Thanks so much! Thanks so much for posting these I know that Abigail Lehman is on Memverse. But I don't know about any of the others. Could I ask where you got this list and if I could get a list of who is in the semis for Seniors ? So, as you heard, Nicolas and I didn't make it to the semi-finals. But I think we were both content with the outcome. We both did our best, and it was obviously God's will that we wouldn't make the cut this year. Thank you all for your prayers! If nothing else, they helped us to have confidence as we competed and peace as we heard the final outcome. It's been fun watching the semi-finals today, despite not being in them. It's definitely much less stressful this way. :D Hopefully all of you will be able to join us in watching the finals tomorrow afternoon! ChiefOfSinners, what are the names of the semifinalists? thanks Sarah, praying for everybody that is there may the Lord use this for His glory. and our very own Laura Hedstrom! There was a battle throughout the entire hour-and-forty-five minutes, with only three out of fifteen contestants ever being disqualified. All the rest recited their passages word-perfect, and thus the finalists' positions were determined by their scores on the written and oral rounds on Thursday. It was absolutely wonderful to watch, and everyone who attended was greatly blessed by all the Scripture that was recited. Congratulations to those who qualifed! We still have a lot of half sheet mini-posters about memverse that Emeka designed for us. You can pick them up at the Scripture Memory Fellowship booth to bring home with you and hang up in Churches, Christian book stores, Christian colleges and schools and other places you can think of where people might be interested in Memverse. Great seeing everyone at Nashville. I love the Bible Bee. ChiefOfSinners, too bad that the Larson boy didn't make it. That would have been fun to see! Too bad you didn't make it either. Hope all the details work out fine. They're all doing so good! Ah, Abigail! You are amazing & you went farther than I could have ever dreamt of going. Praise the Lord! I wonder why BB is repeating so many verses? Saving them up for older levels? Do they still call it correct if "thy" is substituted for "thine"? I noticed that happen a couple times a few moments ago. Bob the tomato! That was so cool! All so amazing! Congrats all around! I was moved to tears just listening. Congrats Primaries! I will be watching the Juniors and the Seniors (I was out this morning and missed the Primaries)! I was amazed by how well the Primaries did. Congratulations to ALL ! What time was the Juniors supposed to start again? I believe at 1:00 CST (in an hour). bob the tomato was so cool! Dakota - did you do BB this year? No, Rachel, I've never participated. Did you? I love the emotion Bethany and Hannah use when reciting! I had forgotten how stressful it is to even watch! @Andy - yeah i know! I'm watching it too...:) it's soo cool!! @ChiefofSinners - did a BonnieLeigh or Meggie Cruser make it to semi-finals? Dakota - yes, this was my first year. I was a Junior Timothy. I agree !!!! The way they say it is so lovely! They mean it! @ Jesus-Paid-It-All - Are you watching it? Am I the only one rushing to BibleGateway.com after the reference is announced to follow along with them? Congratulations to all the Juniors!! That was so cool when that one girl knew the reference had to be incorrect! Amazing! that is !!!! and that our own Laura got back into the contest!!!!!!! go laura!!!! Congratulations to ALL the contestants that made it to Nationals!!! Congratulations to all who participated in the Bible Bee! Congratulations to all!! I was SO encouraged by this! This is the 3rd time I have watched the Bible Bee online, and at the moment am ready to sign up for next year! :) What an awesome opportunity! It was an amazing week, and one that I will never forget. To God alone be the glory! I liked watching it, I cannot believe how many verses they got correctly! Its AMAZING! This was an altogether INCREDIBLE week, and I felt so inspired when we were done! I had never been to Nationals, and I am so glad I did! It was amazing meeting nearly everyone on Memverse who made it to Nationals, seeing Mr. Woychuk (sp?) and Mrs. Alvarez, and especially meeting Phil Walker! But I was actually surprised at how badly I did on Thursday; I'd be surprised if I made it to the top 50! But great job to everyone who did so well in their oral round and on the written test. I also will never forget this week; it has inspired me to grow in my faith and to work quite a bit harder on memorizing and retaining the verses. To God be the glory!! Congratulations everyone who competed at Nationals! I was there - not competing - but for my two brothers. I didn't really meet anyone but I saw people around. Good job everyone! Man, this was AWESOME!! Definitely the best year yet--semis or no semis. I enjoyed talking to and meeting many of you--though I'm sorry if I can't remember your names! I feel like I really ought to be better at names... I mean, seriously? They can't be harder than references, right? Lol. Think again. Wow--I just got back from Nashville. What an amazing week! I was so blessed by meeting Christians who love memorizing as much as I do. And the few speakers I got to hear were amazing! I am going to remember this for a long time. I am definitely inspired to memorize more diligently than I have been. I hope to volunteer at Nationals next year with my brother, and maybe my younger sister will make it to Nationals! Thanks everyone for the congratulations. God is so good, and I am so blessed to have made it this far in the competition. Congratulations to every contestant who hid God's word in their heart! Any of you think they should have an Adult Division for the Bible Bee in the future? While most adults, especially parents, would struggle with having to memorize the amount of verses the children and adolescents have to learn, I think it would still be fun to watch and a good role-modeling opportunity for older adults to be up on that stage, in addition to still be in the practice of hiding God's Word in our hearts--but at a reduced amount of verses. It wouldn't take long for the portion of our time up on stage to end (i.e. Semis & Finals), since we would be hard-pressed to maintain the level of accuracy required for more than an hour. But you never know! As for the written part, we adults should have the toughest test, since we're entrusted with teaching this to our children. What do you think? Could the Bible Bee expand sometime in the future to have Parents, Grandparents, College-Age, Young Married Divisions? Wouldn't it be fun to see Phil Walker up there? Or any of our parents battling it out? @Bethany--Well, the only reason I'm able to return to my blue triangle picture after I've changed it because I saved the picture. I think I'd be able to make it my Gravatar again because of that, but if you haven't saved the picture, then I don't think you can get it back. Praise God for the 2011 National Bible Bee and may it bear much fruit for years to come in the lives of all who participated! Congratulations to all Bible Bee participants and the National Qualifiers and the winners! You all did very well; may God bring you closer to Him through His Word. Sorry this comment is irrelevant to the post, but I'm having trouble with my computer. screen it says 502 Bad Gateway. It has done this to me three times. Does anyone know why? Congratulations Laura and all the other contestants! Nationals was AMAZING!!!!! It was SO encouraging to meet many young people with the same passion for memorization that I have! Please do not hesitate to sign up next year, Lord willing! @GMV - we are having some problems with the new server. We're trying to get them resolved as quickly as possible. We're really sorry for the inconvenience. @Andy- Thats Ok. Thank you so much. Hi Alex! I'm just curious, what place did you come in? Ian - Thanks for praying for us and everyone in the Bible Bee. My brother Ben and I didn't make Semi Finals, so we won't find out our placements until the Bible Bee releases preliminary scores on their website. I got to watch all of the finals! It was so wonderful! Thanks to everyone who prayed for us while we were at Nationals! Alex, I think it's amazing that you were able to win your division last year and still have enough room in your memory to make nationals again. Congratulations! CONGRATULATIONS to Rachel (Eaton) for making it to the semi-finals in the senior division and to ALL who participated in the Bible Bee - at whatever level. Keep hiding the Word of God in your hearts! @Dakota Lynch & Grace2u - ditto! oh Alex - I didn't attend Nationals! was the book giveaway for only National attenders?! Doesn't look like anyone has posted the winners of the Junior Finals yet. Guess I will do that now. Joshua and Hannah were accidentally unfairly disqualified in the Semi-Finals, so that is why there were seven Finalists. Don't you love the crystal trophies?! They are beautiful! Bethany- yes, I also am not super anxious to see how I did at Nationals...having my time run out with 4 or 5 passages left is going to affect my score rather dramatically, and not for the best. :) I do want to see how well I did on the written test, though...I think I did better there. What are the new rules?! From the rumors that I've heard, Rachel, it seems that the Bible Bee is going to dramatically lower the number of verses to memorize for Locals in an attempt to make the Bible Bee bigger. I'm not sure what to think of it - part of me wants it to happen because next year is my first Senior year, and another of me doesn't want it to happen because I want to prove to myself that I can memorize 800 verses in 12 weeks! Oh well, it is what it is, and I can't change anything. I will just have to go along with whatever happens. Wow! That sounds interesting! I agree with you Matthew! It will be my first Senior year as well. does that mean we will have more verses to memorize if we make it to Nationals? Instead of the 100, 200, and 300, will there be more? What is the $100,000 word contest and how do you enter? About the 2012 Bible Bee, there will be 100 verses total that the Primarys, Juniors, and Seniors will all have to memorize for the locals. Then for the Nationals you will get a lot more verses, I am not sure exactly how many, I think you will get around 800, 500, and 250 but as far as I know the exact number is not confirmed. I've heard from several places that everyone will only have 25 verse cards, to be studied at the rate of "20 minutes a day, 2 cards a week". So I dunno how that fits with still having 800, 500, and 250. But it'd be great if they kept it the way it was this year. I doubt it though. I agree with Mathew and Rachel this is confusing. 1. At the LOCAL level, there will only be 100 verses to memorize. Primaries, Juniors, and Seniors will all have the SAME verses to memorize. 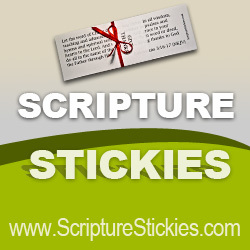 These 100 verses will be on 25 different memory cards, so there will be an average passage length of 4 verses per card. 2. At the LOCAL level, contestants will be given a Sword Study similar to those we have received the previous years, except that they will be less in-depth, resulting in an average of about 20 minutes per study, unlike the 45-ish minutes the previous years. The Sword Studies WILL be different for the different age levels, as a 18 year old will be able to do more studying in 20 minutes than a 7 year old. 3. At the LOCAL level, There will be supplementary material for the Sword Study availible through the Bible Bee, which will basically transform your 20-minute study into the good old-fashioned 45-minute sword study. :) This may or may not cost extra, I'm not sure. 4. At the NATIONAL level, qualifiers will receive extra verses, aproximately equal to the ammount we had a locals the last two years, but likely a little less. The exact ammount has not yet been determined by the Shelby Kennedy Foundation. 5. At the NATIONAL level, qualifiers will be given an extra book to study, but will not be provided with a Sword Study for the selected book, just like last year. They are pretty much switching around the local and National levels; instead of having a lot of verses at locals, and a little extra at Nationals, they are giving localists a small work load and bombarding the Nationalists with lots of extra study materials. :) I hope this clears up some of the confusion. Thank you so much for this information Seth! I was very confused. My... ! This is going to be.....um.....interesting!!!! We will all be doing the Junior level Timothy track basically! Although I'm kind of disappointed that it will be switched around, I'm also glad. @Matthew - No, I do not think that there will be Timothy Track anymore...at least, that's what I have heard. Matthew, I actually do not have a confirmed yes or no answer to your question, but I am pretty sure there will no longer be a Timothy Track. @ALL The reason for the Timothy Track was so that people who didn't feel like they could memorize all their verses could still feel involved in the Bible Bee. However, they realized that some Timothy Trackers felt almost left out, or not as important because weren't able to do as much as the Nationalists. So Headquarters decided that they would make it easy enough so that all people could participate on equal level, and then the people who prove that they can handle more by rising to the top (aka, the national qualifiers) will be given the extra materials to study throughout the fall. I hope that makes sense. What was Paul Keaton's version, BTW? Rachel, I know what you mean about the trip - there's a good possibility that our family may take a vacation about the same time. And I have a difficult time doing any studying in the van. :( And yes, it probably will be a little harder to get into Nationals, but I don't think it will be to much...or at least I hope not:). I didn't attend the Senior Semi-Finals, so I was a little less familiar with the names of the semi-finalists. If you say it was Christie Johnson, Bethany, then it was Christie Johnson. I was also wondering about Ryan's last name. Thanks for the input! @Anyone who was at nationals: Did anyone else take pictures at nationals that they would be willing to share? typo... there are people who attend our church sometimes whose name is McCloud, so I got mixed up. :) I will edit the comment and fix those errors now. BTW: I thought it was neat that 4 15-year-old Seniors made it to Semi-Finals. Olivia Guillard, Rachel Gosz, Brittany Schllicter, and Ryan Sinni were all Junior National qualifiers just last year! @Matthew - Oh, I see. Rachel Gosz and Ryan Sinni are only 15?! Wow! I thought that they were like 16 or 17! Well, I guess I lost the opportunity of being a 15 year old and getting into Semi-finals..next year I'll be 16. You will have the opportunity though, Matthew. That's very neat that those 4 people also made it into Junior Semi-Finals last year! Oh, and good job with your score! What was your end score...with points? I came in 76th place with an end score of 666...which isn't good at all. Anyways, good job to you and your sister, Courtney! Matthew - wasn't Olivia Gulliard a Primary? Bethany - Not good?! Just remember that you memorized over 1,000 verses this summer plus an in depth study of two books of the Bible, and no matter what your test scores are you can be sure that if you did your best and did it for God than you are surely a winner in His eyes. My score was 740 - 296 on Orals, and 444 on Written. Only 23 more points, or 8 more questions on the test, would have put me into the Semi-Finals! Oh well. I did my best, and that's all that matters. Don't feel bad, Bethany, about your 666 score - there were a few Juniors who got scores down into the 300s. You actually did pretty good. BTW: It wasn't really the highest Junior score in Texas anyways - Alethea Carlton and Mark Tremaine both beat me. It just had been the highest score in Texas for Courtney before. :) Not wanting to mislead anybody! I guess you could say all three of us took the number 1 spot away from Courtney. @Kaitlyn, Seth and Matthew - You three are all correct...my score doesn't really matter. Thank you for pointing that out to me. I must admit, it has been a little bit of a struggle for me not to complain about my score but to thank the Lord for this summer that He has given me to grow closer to Him. Thoughts come to my mind "Why didn't I do better?" "why did I mess up on that one verse..." thoughts which do not need to be thought about. "Indeed, I count everything as loss because of the surpassing worth of knowing Christ Jesus my Lord..." - Philppians 3:8 Thank you all for your encouragment. @Kaitlyn - do you know if your mom got my e-mail that I sent her? @Bethany - My Mom said that, yes, she did get it and she thought she replied right away, but she will send another reply after lunch. She says sorry, and thanks. @Kaitlyn - Hmmm....that's odd, because I still haven't received anything yet.